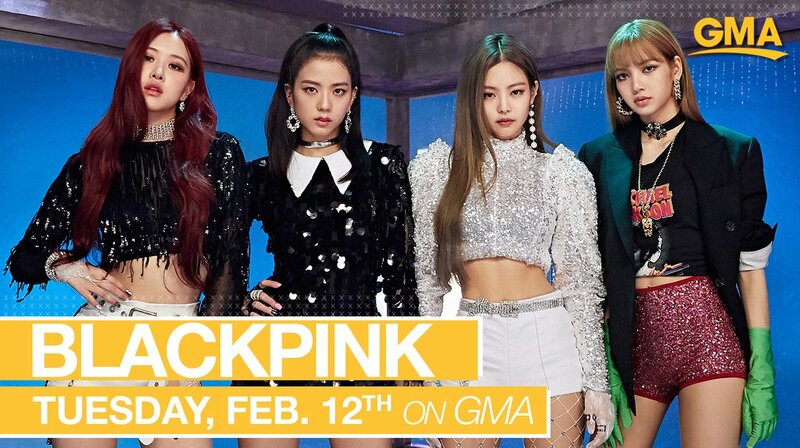 On February 6th, it was revealed that BLACKPINK will appear in two US TV programs! The girl group will appear on ABC's "Good Morning America" on February 12th and "Strahan and Sara" on the 15th. It hasn't been revealed yet if BLACKPINK will perform any song, but fans are expecting at least a performance of "DDU-DU DDU-DU" live at the Times Square Studio. They are in the midst of their 1st world tour "Black Pink 2019 World Tour In Your Area" and, as of right now, they will be visiting 19 countries, with more to be announced soon. How about a comeback though? They still lack songs for a group on a world tour.